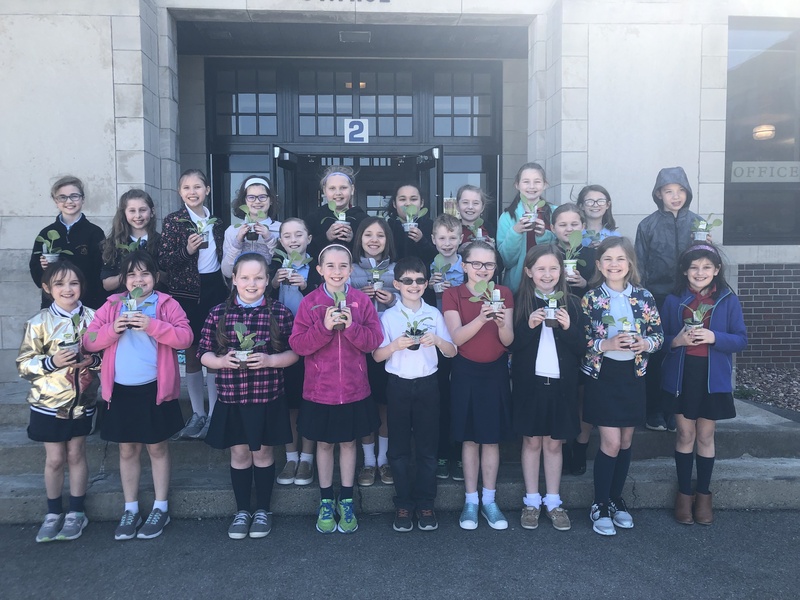 The Butler Catholic School Third Grade Garden Club members will be participating in the Bonnie Plants Third Grade Cabbage Program. Each third grade garden club member received a cabbage plant from Bonnie Plants today at school. But this is not a normal cabbage. It is a O.S. Cross or “oversized” cabbage that if nurtured and cared for can weigh in at over 40 pounds! The students are to take the plant home, and over the summer cultivate and care for their cabbage. Their challenge is to grow the best cabbage. BCS teachers will then select the best cabbage based on size and appearance, and send a picture of the student with their cabbage to Bonnie Plants. One student from each state will then be selected, and awarded a $1,000 scholarship. Bonnie Plants initiated the 3rd Grade Cabbage Program in 1966 at their company’s headquarters in Union Springs, Alabama. Their mission in starting the program was to inspire a love of vegetable gardening in young people, and to grow our next generation of gardeners. By 2002, Bonnie Plants was delivering cabbages to all contiguous 48 states . Each year, Bonnie trucks more than one million free O.S. Cross cabbage plants to 3rd Grade classrooms across the country. Our Fourth Grade Garden Club members, while not able to directly participate in the Bonnie Plants Cabbage Program, will also be provided with a cabbage plant. BCS will then have our own Garden Club Contest to select the best cabbage grown.